A big part of what we do at Capital Models goes under the radar and un-noticed but a recent project has inspired us to shout out about the repair and refurbishment side of our business. Architectural models are made from various materials that are often lightweight and delicate, so each repair, clean or refurbishment has to be treated individually and with lots of care and attention. The recent project in question is called Park View and is a perfect example of upcycling within the architectural model world. 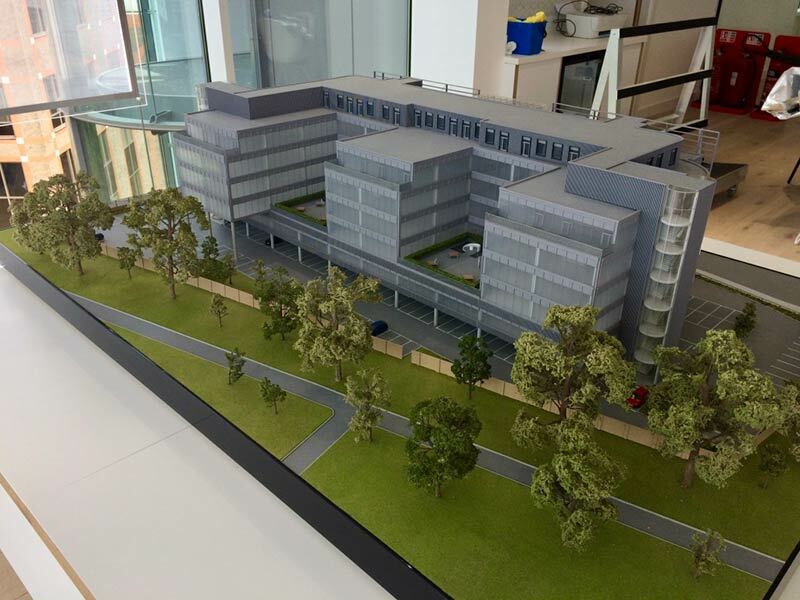 We first made the Park View architectural model in May 2000 for Elsworth Sykes Architects and Green Properties. It was originally used as a marketing tool to promote the building as a commercial property and once it was no longer needed the model was stored away. Then, forward on 18 years to January 2018, new developers Paradigm Land and Apt-Living discovered the dusty 1:75 scaled model in the damp atmosphere of the roof plant room. 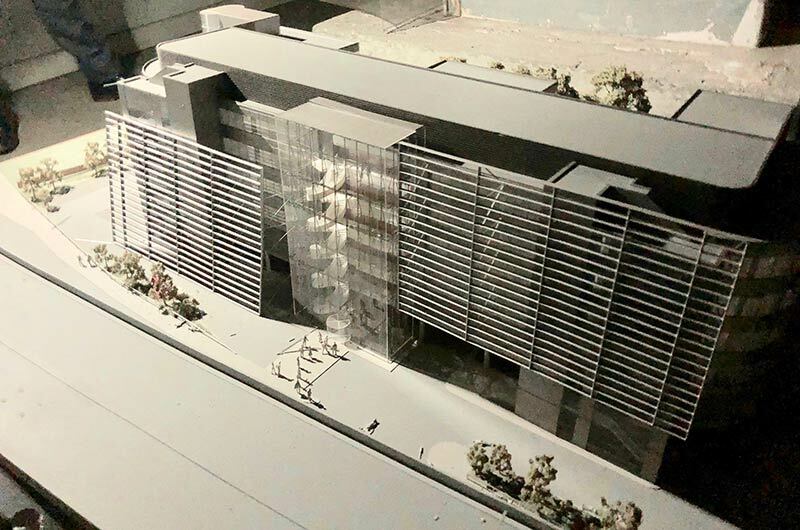 Rather then discarding the somewhat shabby model, they tracked us down to see if it was possible to refurbish it to represent the new, now residential Park View building. Of course we were delighted to rescue this piece of our past and quickly got down to assessing, cleaning and repairing the original model, before carefully re-cladding the elevations to match the new real building. We’re proud that the original model proved to be robust enough to survive a damp and dusty storage room for 18 years, I guess a testament to our build quality standards and also that we were able to get it looking like new again. A perfect example of upcycling and conservation in what sometimes can feel like a ‘throw away’ society these days. This refurbishment certainly wasn’t a one-off situation and we regularly get enquiries such as this once or twice a month. Sometimes it’s for models that we have previously made and other times it’s for models that have been produced by other companies. We often receive models that have been shipped from China and damaged in transit or simply the original model maker cannot be found. And, like a shelter home we take them all under our wing to be nurtured back to health in the safe surroundings of our workshop. Over the years we’ve also updated several ship models. 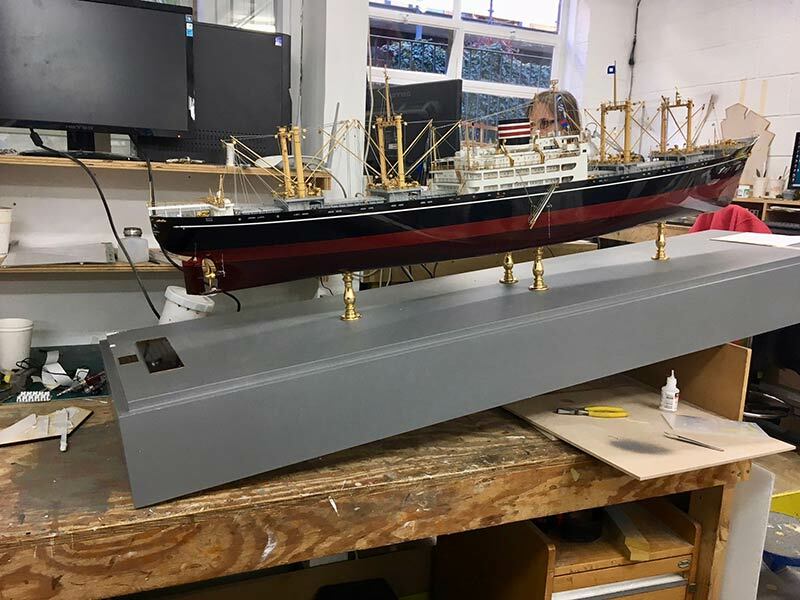 For example, we recently had a task to re-design the QE2 ship model to reflect alterations that were made to the actual ship. And on this occasion we also took the opportunity to add internal lighting for more impact. 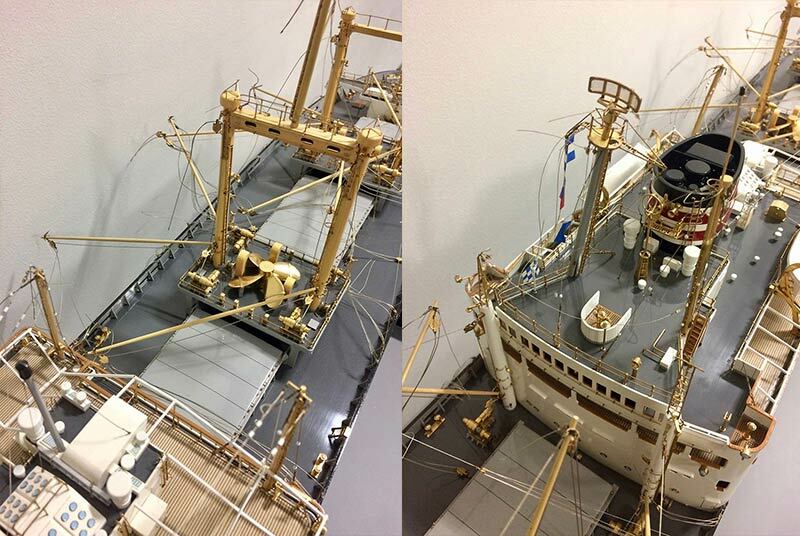 Another visitor to our workshop recently was a ship model from the NYK Group, Japan’s largest shipping companies. It had been badly damaged when someone or something had fallen on to it, breaking a lot of the delicate masts and upper deck. So, do we need specialist tools for this I hear you ask? Well, we have our own modelmakers toolkit, which is an eclectic mix of brushes, tweezers, tape, cleaning fluids and to be honest, a lot of superglue! Over the years architectural model materials become brittle, adhesives dry out and colours fade – to attend to these beautiful fragile objects is a delicate business and a passion to say the least!